A recent ad campaign created by the City of Milwaukee to raise parent’s awareness of the dangers of sleeping with your infant has sparked a debate across the country about the safety of co-sleeping. The Milwaukee Journal Sentinel reported that the City of Milwaukee developed the campaign in response to the high preponderance of infant mortality in Milwaukee compared to the national average. The infant mortality rates were 4% higher than the national average, with 5.4 infant deaths for every 1000 live births for white Caucasian babies and an astonishing 14.1 infant deaths for every 1000 live births for African American babies. 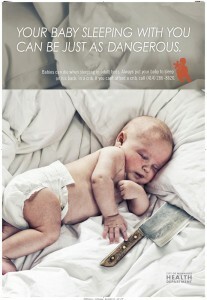 The ad shows babies of different ethnicities cuddled up with a butcher’s knife in their parent’s bed with a headline stating: YOUR BABY SLEEPING WITH YOU CAN BE JUST AS DANGEROUS. Does co-sleeping really warrant such a controversial and aggressive ad campaign? Some would argue that it does not. It is not unusual for parents of many different cultures around the world to co-sleep with their infants and many American families report having felt more connected to their child through the co-sleeping process. Research finds that co-sleeping is only one of a variety of different risk factors including, respiratory infections, premature birth, brain abnormalities and having a teen mom (under the age of 20) to name just a few. 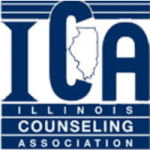 Furthermore, studies have shown that about one third of the infant deaths that occurred while the baby was sleeping alongside the parent, happened after the parents had been drinking or using drugs. Is there a risk? Certainly. Can it be managed by responsible educated parents? That’s for you to decide.